On January 21, 21, those radiation measures were all taken from one meter above the ground. These measures are not coming from government radiation monitors but from Oz Yo, a citizen himself taking measures with his own device. 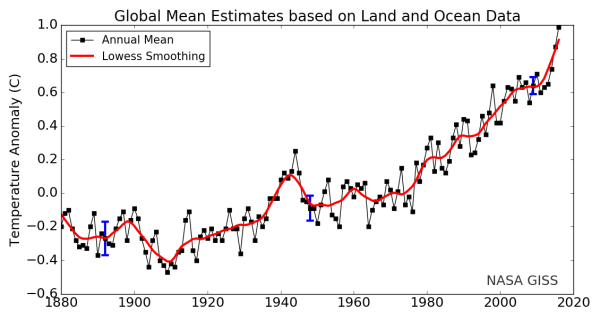 GR: Climate scientists have warned us that warming will accelerate as positive feedbacks grow stronger. We may have just witnessed the first evidence that they were right. Global warming might now be self-sustaining. Fear of that possibility is what provoked all those hair-on-fire remarks about stopping fossil fuel burning before it became too late to stop catastrophic warming, before it was too late to prevent the end of civilization. Personally, I think we have a few more years, at least five or six to amend our ways. If we continue to have record years, however, it’s curtains for sure. 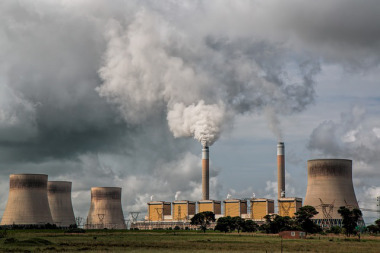 “Over just the past three years, global temperatures have risen by about 0.4 degrees Celsius. This was an extreme acceleration in the rate of warming. One that is unmatched in all of the past 136 years of climate record keeping.warming-since-1880-shows-acceleration-in-recent-years. Rick Perry has taken quite a tumble since being governor of Texas. He was a twice-failed GOP presidential wannabe and then ended up being a rejected contestant on Dancing with the Stars, the television show for has-been celebrities. But now, having kissed the ring of Donald Trump, Perry is being lifted from the lowly role of twinkle-toed TV hoofer to — get this — taking charge of our government’s nuclear arsenal. But here’s a funny thing. The 321-page document makes no mention at all about the use of mains water. When I asked a Sizewell ‘expert’ during the Stage 2 Consultation roadshow, he was unaware that Sizewell C would require 1,600 m3 of mains water per day, and thought that I was asking about water that would be used to make tea and flush the toilets. When I explained how much water would be required, he suggested that it was not EDF’s problem as they would just buy the water from the water company and let them work out where it is to come from. Royal Navy whistleblower William McNeilly leaked details about a number of serious test fire issues aboard Britain’s Trident nuclear submarine fleet a whole year before the June 2016 misfire that sent a missile careening towards the US. The Royal Navy submariner was detained and quietly discharged in June of that year. Senior officers even sought to discredit McNeilly’s claims by portraying him as an ill-informed junior sailor. Speaking exclusively to RT on Tuesday, McNeilly said he now feels vindicated. The whistleblower’s comments come a day after the British government faced questions over a misfire incident that occurred in June of 2016, just weeks before a crucial Parliamentary vote on Trident’s renewal. The US government apparently requested that news of the defective missile be kept secret to prevent mutual embarrassment. “I had missile tests signed off in my task book. They wouldn’t have been signed off in my task book if I didn’t know anything about them, and clearly I was proven to be right. It was during one such end-of-patrol test that the June 2016 misfire took place. Other readiness exercises carried out at the end of the patrol also went wrong, claims McNeilly. Relatively little research has been conducted on animal life in Japan and its coastal waters after the Fukushima Daiichi disaster but anomalies have already been identified. Taken together, these studies point to increased biological risks for flora and fauna living in radiation contaminated zones. [i] A. Moller, A. Hagiwara, S. Matsui, S. Kasahara, K. Kawatsu, I. Nishiumi, H. Suzuki, K. Ueda, T. and A. Mousseau (2012) ‘Abundance of Birds in Fukushima as Judged from Chernobyl’, Environmental Pollution, 164, 36–39. [ii] A. Moller, I. Nishiumi, H. Suzuki, K. Ueda, T. A. Mousseau (2013) ‘Differences in Effects of Radiation of Animals in Fukushima and Chernobyl’, Ecological Indicators, 24, 75–81. [iii] S. Kimura and A. Hatano (4 October 2012) ‘Scientists in Groundbreaking Study on Effects of Radiation in Fukushima’, The Asahi Shimbun, http://ajw.asahi.com/article/0311disaster/fukushima/AJ201210040003, date accessed 6 October 2012. [iv] Yoshihisa Kubota, Hideo Tsuji, Taiki Kawagoshi, Naoko Shiomi, Hiroyuki Takahashi, Yoshito Watanabe, Shoichi Fuma, Kazutaka Doi, Isao Kawaguchi, Masanari Aoki, Masahide Kubota, Yoshiaki Furuhata, Yusaku Shigemura, Masahiko Mizoguchi, Fumio Yamada, Morihiko Tomozawa, Shinsuke H. Sakamoto, and Satoshi Yoshida Chromosomal Aberrations in Wild Mice Captured in Areas Differentially Contaminated by the Fukushima Dai-ichi Nuclear Power Plant Accident. Environ. Sci. Technol., 2015, 49 (16), pp 10074–10083. DOI: 10.1021/acs.est.5b01554. [v] Watanabe, Yoshito, San’ei Ichikawa, Masahide Kubota, Junko Hoshino, Yoshihisa Kubota, Kouichi Maruyama, Shoichi Fuma, Isao Kawaguchi, Vasyl Yoschenko, Satoshi Yoshida, “Morphological defects in native Japanese fir trees around the Fukushima Daiichi Nuclear Power Plant,” Scientific Reports 5.13232 (2015): doi:10.1038/srep13232. FUKUSHIMA, Japan (Kyodo) — A dairy farm near the disaster-struck Fukushima Daiichi nuclear power plant in northeastern Japan began shipping raw milk again on Tuesday. It was the first milk shipped for processing and public sale from an area previously designated for evacuation following the March 2011 nuclear disaster at the seaside plant in Fukushima Prefecture, according to the prefectural government. Milk produced at the farm in the Naraha district had been checked for radioactive cesium every week from last May to December, with no reading ever surpassing the government-set limit of 50 becquerels per kilogram. In fact, the readings were below the testing equipment detection limit. Around 400 kg of raw milk from 18 cows was shipped Tuesday. Following the disaster, in which a massive amount of radioactive material was spewed into the air and sea, the central government banned milk shipments from the area in March 2011. Restrictions were lifted last December for the area where Hiruta’s farm is located. Similar restrictions are still in place for eight other districts, including the towns of Okuma and Futaba where the nuclear power station is located. Workers attempting to get a better look inside a damaged reactor at the Fukushima Daiichi nuclear power plant have encountered a problem. On Tuesday they inserted a camera in a pipe leading into the container vessel of the No. 2 reactor, with the aim of capturing footage of molten fuel inside. TEPCO says a simulated trial run went off without a hitch. The utility will investigate what went wrong before deciding whether to try again. Workers need a clearer picture of the debris to determine how best to remove it, an important step in the decommissioning process for the 3 reactors that suffered meltdowns. 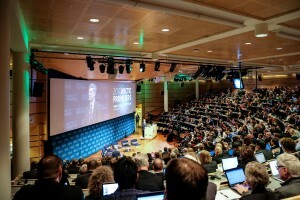 TROMSØ, Norway ­­– Prime minsters and foreign ministers of Nordic countries are convening in this city to balance economic interests and environmental harm in the Arctic at talks that began Monday. But Norwegian environmentalists are apprehensive that big money projects in the region frequently derail political statements of ecological good faith. Climate change, melting ice and nearly monthly new record high temperatures are hardly the stuff of science fiction, but a daunting reality. 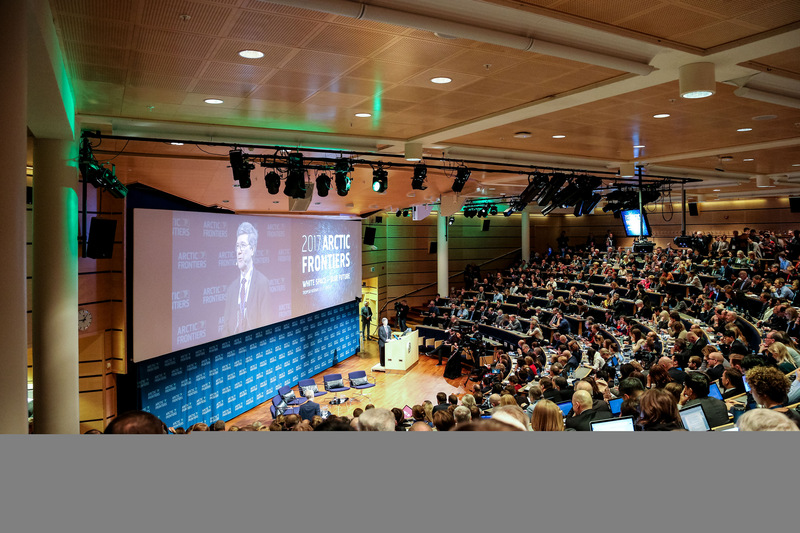 The message of leaders of many countries bordering on the Arctic has been focused on balancing economic development with environmental priorities. Norwegian Prime Minister Erna Solberg said climate change is happening too fast and Arctic countries should make decisions that would be damaging to the Arctic environment. As the ocean is Norway’s breadbasket, the Solberg administration this year is presenting its strategy for handling water zones. “The aim of the strategy is in using existing experience and technology in working on the Arctic shelf and the transition to environmental and more effective technology,” she said. She added that climate change should force the switch to a fuller embrace of green innovation to balance the search for Arctic resources. “Unify shipping traffic, energy, the fishing industry and aquatic health is possible. The balance must be maintained,” said Solberg. Margot Walhström, Sweden’s foreign minister, supported Solberg’s statement and said the Arctic is now the at the epicenter of the global climate crisis. She said a special focus should be devoted to issues of ocean development. Temperature rises are threatening the worldwide marine system. Many of the leaders appearing at the conference said in one way or another that the region’s countries have an obligation to leave behind a sustainable and developing Arctic to future generations. But Nature and Youth (Nature I Ungdom) Norway’s biggest youth environmental movement, took a measured response to politicians’ assertions, and said economic development routinely comes before environmental stewardship. Skjoldvær said politicians are making decisions that don’t take the environment into account, and that will directly affect the future. She said oil exploration in the Arctic was unreasonably ramping up. “Future generations will have to deal with the consequences of these decisions,” she said. In answer to recent parliamentary questions from Clare Daly TD the Minister for Foreign Affairs and Trade gave some sparse details of the foreign military traffic that passes through Ireland. Any of these that are engaged in war-related activities are of course is in breach of Irish neutrality. The main piece of information obtained from the Minister were that in 2016 there were 645 requests for military landings at Shannon. 592 – thats 92% – were from the US. We don’t know exactly how many of them were refused permission, but we do know from our own monitoring records that most of them landed. The other important information received is that there are quite a few foreign military landings at other Irish airports – 101 of them in 2016 to be exact. During 2016, there were 101 requests for landings by military aircraft at airports other than Shannon Airport from 17 countries. Almost all of these are NATO countries. The Minister also said that iaddition to the above requests, his Department also received one military aircraft landing request from the British Embassy in connection with a VIP visit at Donegal Four Masters GAA grounds during May 2016. And of course he said again that arrangements under which permission is granted for foreign military aircraft to land at Irish airports are governed by strict conditions etc. etc. Has anyone EVER inspected one of the military aircraft to see if those conditions are complied with? IDAHO FALLS, Idaho (AP) — The director of the Idaho National Laboratory says it’s problematic whether a small quantity of spent nuclear fuel needed for research will be allowed into Idaho this spring. The lab renegotiated a research agreement to allow the shipment to be received later this year, Mark Peters told the Post Register (http://bit.ly/2j1eP2W). However, the continued failure of a treatment facility to process 900,000 gallons of high-level nuclear waste stored at the 890-square-mile U.S. Department of Energy site in eastern Idaho has caused the federal agency to violate a 1995 agreement with Idaho. Idaho Attorney General Lawrence Wasden as a result is refusing to allow research quantities of spent nuclear fuel into Idaho until the facility, called the Integrated Waste Treatment Unit, is operating. A previous research shipment has instead been sent to Oak Ridge National Laboratory in Tennessee. Peters said his lab could potentially lose the next shipment as well. “If IWTU goes beyond (spring), then we need to continue to rethink,” Peters said. The shipment from the Byron Nuclear Generating Station in Illinois was originally scheduled for last June. Late last month, the Department of Energy said a small-scale version of a key component of the waste treatment facility was being sent to Colorado to better understand why the treatment facility isn’t operating as planned. The continued failure to get the treatment facility operating is a blow to the federal agency’s desire to bring in the research shipments of spent commercial nuclear fuel to the lab in Idaho, one of 17 Department of Energy labs in the nation and the primary lab for nuclear research. Work on the spent fuel, if it gets to Idaho, is expected to bring in millions of dollars to the area.